Finally! It for sure is about time for a new set of Kaleidocycles! You have not heard of Kaleidocycles before??? 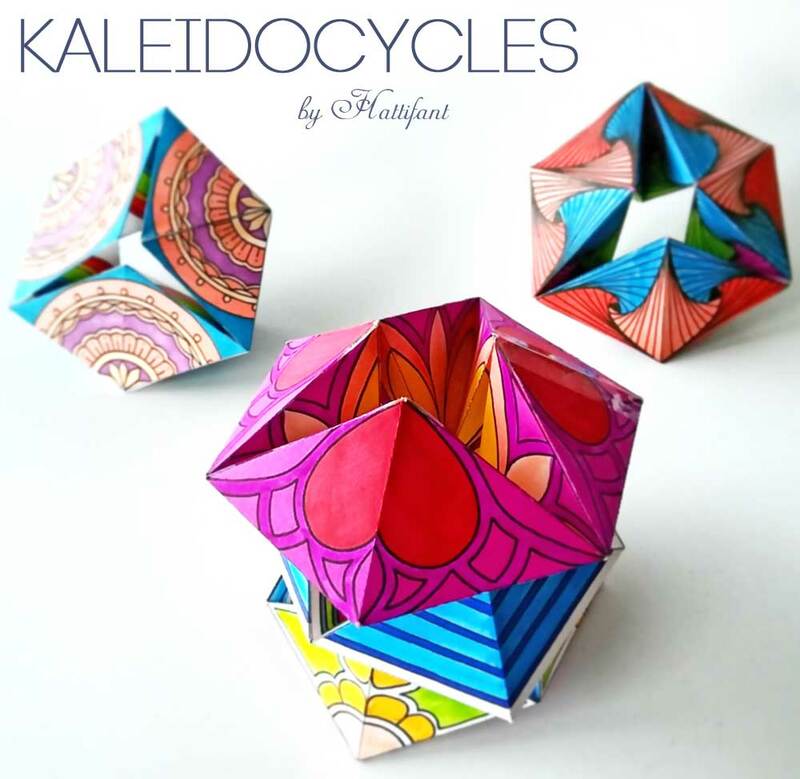 Then hop on over to our main Introduction Page for Kaleidocycles which are quite often also called Flextangles! 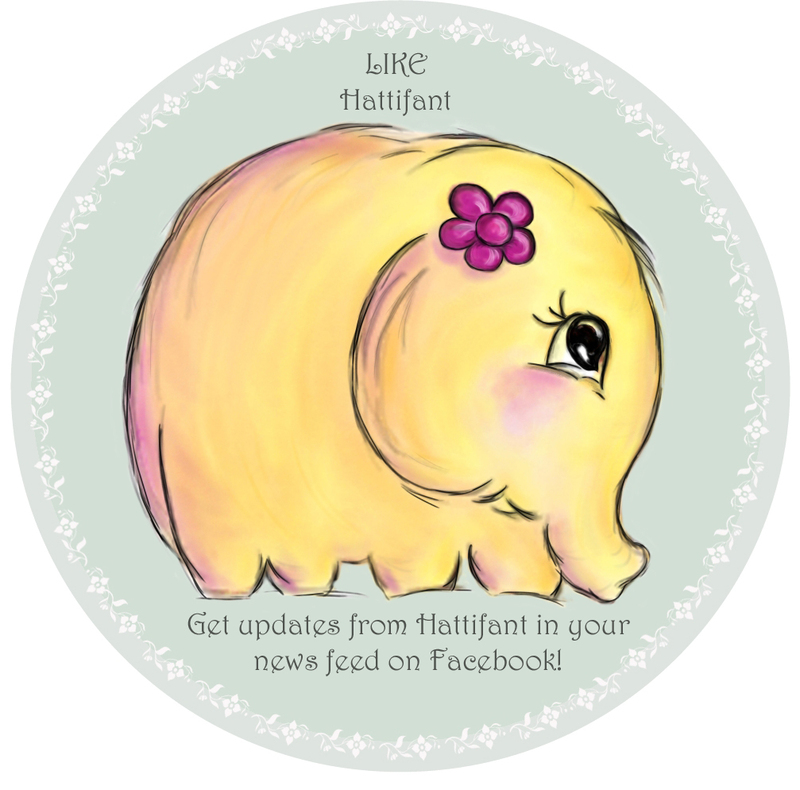 There you can find all of Hattifant’s designs and more. Best as always is to see it in moving images! So please enjoy this video which also includes the TUTORIAL!!! 😉 for this paper craft! 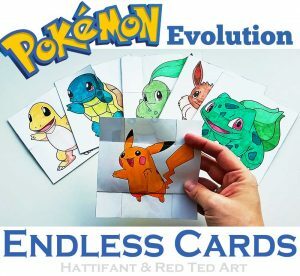 I try and make it as easy as possible for you to recreate Hattifant’s arts & crafts. So please follow me along in the above Video Tutorial in which I am showing you step by step of what to do. There further is a Picture Tutorial you can follow! Scroll down to get to the tutorial! Click on the download button or picture below to get your printables. Comment, send in your creations! We LOVE to see what you make! 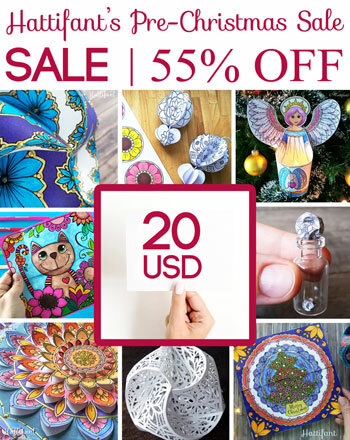 And SUBSRCIBE to Hattifant’s YOUTUBE Channel and FACEBOOK Page to not miss any new crafts! Find out more about our Triskele Paper Globes here! 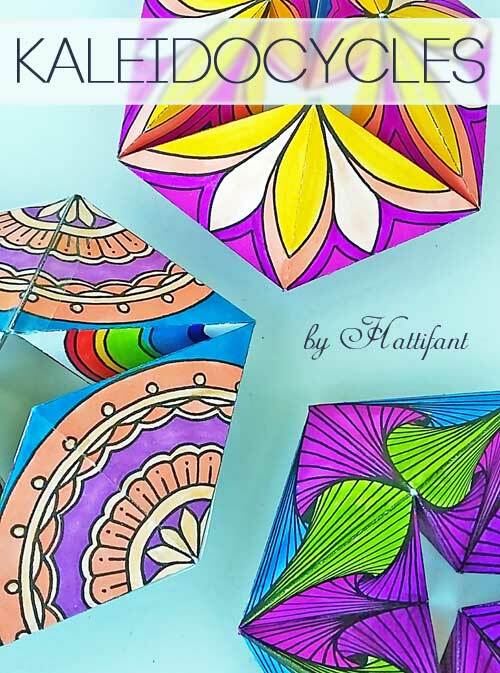 Find out about Hattifant’s Foldables here! NO DIRECT LINKING OR HOT-LINKING ALLOWED! 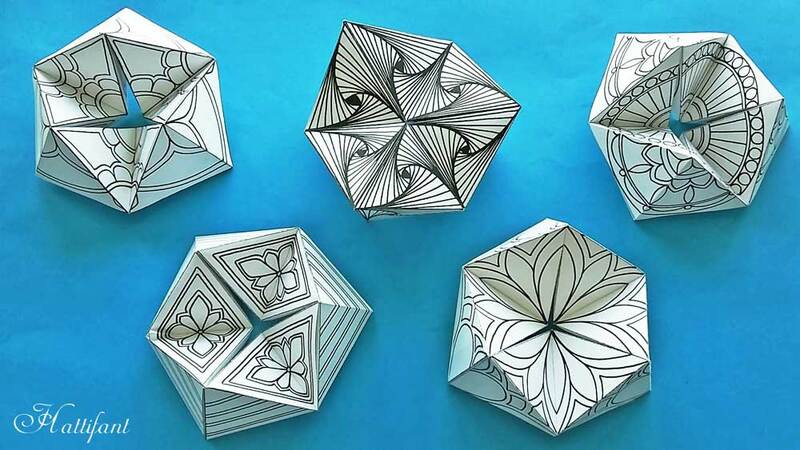 13 Responses to "NEW Series: Kaleidocycles – Patterns I"
These Kaleidocycles are gorgeous! You are so generous to share these, thank you. 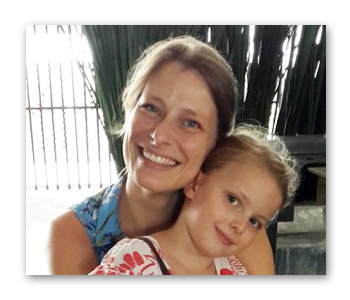 Thank you for your sweet note, Laurie! Sooo appreciated! Enjoy! 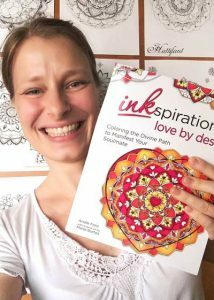 Thank you so much for creating those amazing kaleydocycles and for sharing them! I found your previous designs in December. And they became great gifts for my son and our friends’ kids. Adults loved them even more than children 🙂 And now we have new craft from you. Thank you very much! Have a wonderful year! Greetings from Ukraine. Am trying to make one but the video moves too fast even enlarged to full screen plus the persons hands who is folding it are in the way so it is easy to miss a step in folding. are there written instructions that i can print? i started with the busiest pattern which may be part of the problem. can anyone help me? I can’t thank you enough for creating and sharing these. I can’t wait to try them out! Thank you very much! Have a wonderful year! Greetings from Turkiye. 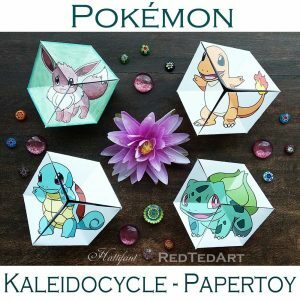 you so much for creating those amazing kaleydocycles and for sharing them! These are really wonderful. 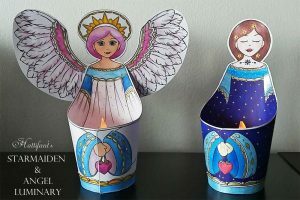 I love paper crafts, and making these is especially soothing. Thanks for your generosity. I love the kaleidocycles! 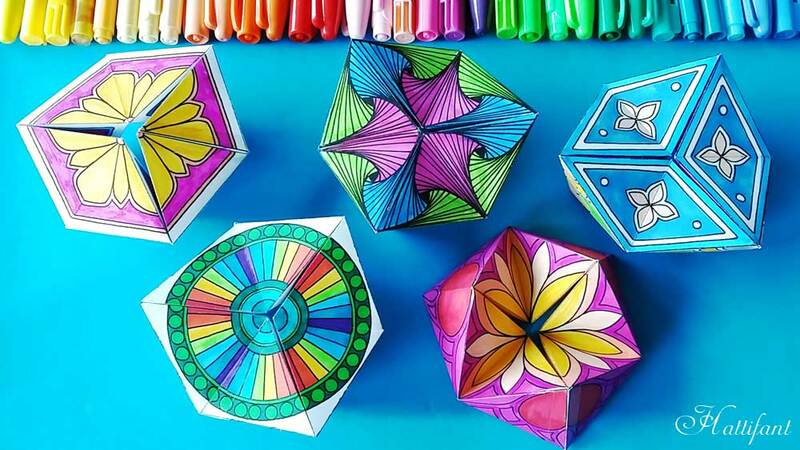 Have used them as an art activity and for a calming distraction. So good to have shared them – very generous of you ?